CEDAR FALLS — Doris Mabel Andre, 83, of Cedar Falls, died Saturday, Aug. 24, 2013, at the Cedar Valley Hospice Home, Waterloo. 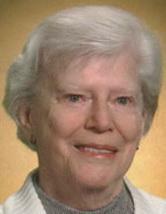 She was born June 17, 1930, in Elmhurst, N.Y., daughter of Victor Emanuel and Mabel E. Hicks Olson. She married Keith Lyn Andre on Oct. 17, 1953, in Woodside, N.Y. He died in 1998. She was a secretary for many years, retiring from Orchard Hill Church. She was also an Avon representative for many years. Survived by a son, Keith L. (Diane) of Buxton, N.C.; three daughters, Sherryl (George) Dombeck of Elizabeth, Ill., Deborrah (Steve) Pagel of Tolono, Ill., and Allison (Dennis) Curtis of Cedar Falls; seven grandchildren; three great-grandchildren, and a brother, Richard (Camille) Olson of Long Island, N.Y.
Preceded in death by her parents; and a sister, Joan Walter. Services: 11 a.m. Tuesday at Orchard Hill Church, Cedar Falls, with inurnment in Lexington Cemetery, Lexington, Ill. Visitation from 4 to 6 p.m. Monday at Dahl-Van Hove-Schoof Funeral Home and for an hour before services Tuesday at the church. Memorials may be directed to Orchard Hill Church Missions or the Cedar Valley Hospice Home.